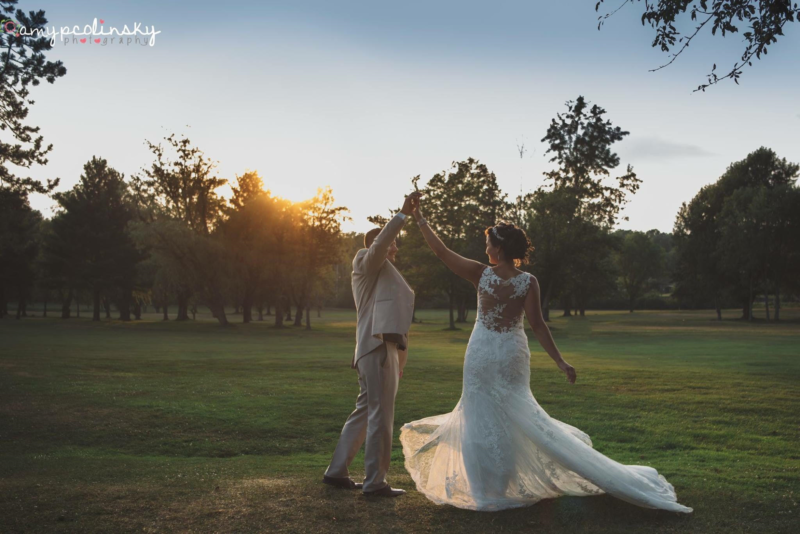 Monica and Shawn had a beautiful wedding day here with us on July 14th! Sunflowers and pastel colors filled our Bliss Ballroom along with small accents of rustic and elegant. Monica was closely accompanied by her sisters as Matrons of Honor and Shawn by his best man who he met through the Coast Guard. Guests enjoyed hors d’oeuvres and meals from our Bliss Package which also included tons of upgrades and a sendoff station of soft pretzels and cheeseburger sliders. Yum! Thank you to both the Dennison & Donnelly families for being so wonderful to work with and for showing so much love and support for the new Mr. & Mrs.!